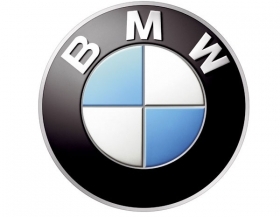 FRANKFURT -- BMW AG is recalling about 1.3 million cars worldwide because of a possible problem with a battery cable cover in the trunk, the carmaker said Monday. The recall affects 5- and 6-series BMWs built between 2003 and 2010, BMW said in a statement. About 290,000 of the cars are in Germany, BMW said. "This can result in the electrical system malfunctioning, the vehicle failing to start and, in some cases, to charring or fire," the company said, adding it was not aware of any accidents or injuries to people because of the problem. BMW said it was contacting car owners. The repair procedure in a BMW partner workshop would take about 30 minutes and would be free of charge to customers, the automaker added. Recalls of more than 1 million vehicles by an automaker are rare. Toyota Motor Corp. recalled more than 10 million Toyota and Lexus vehicles worldwide in 2009 and 2010 for defects associated with unintended acceleration.